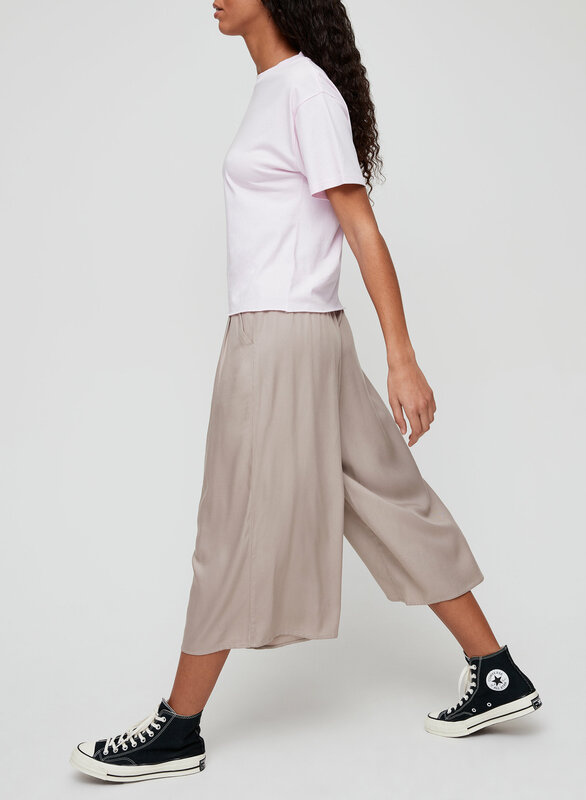 Styled with candy t-shirt and hendrix leather biker . 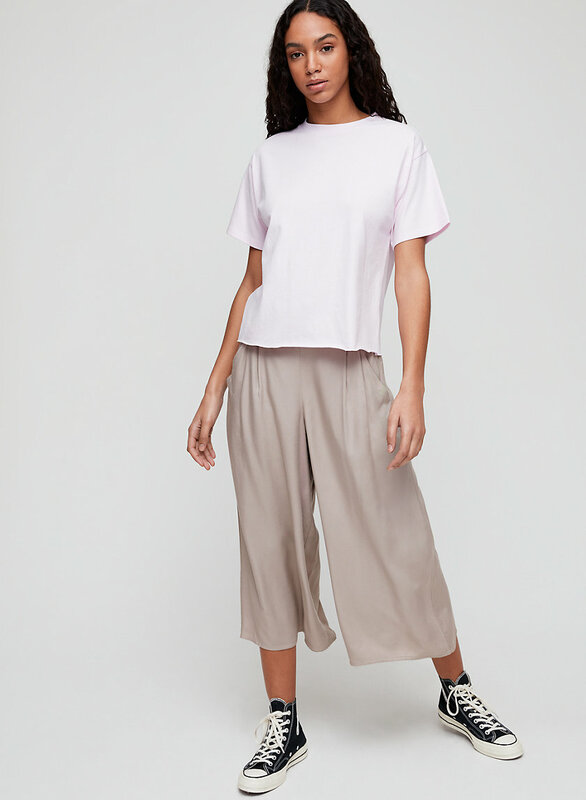 Dress 'em up or down. 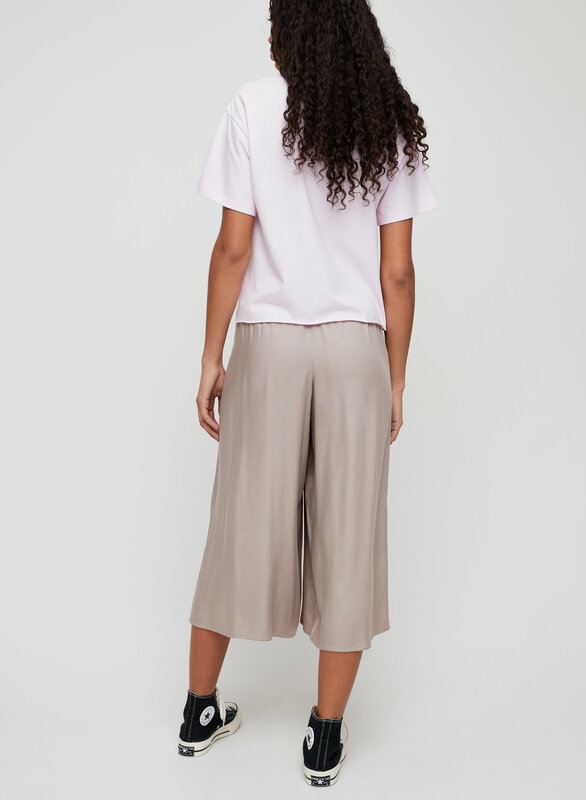 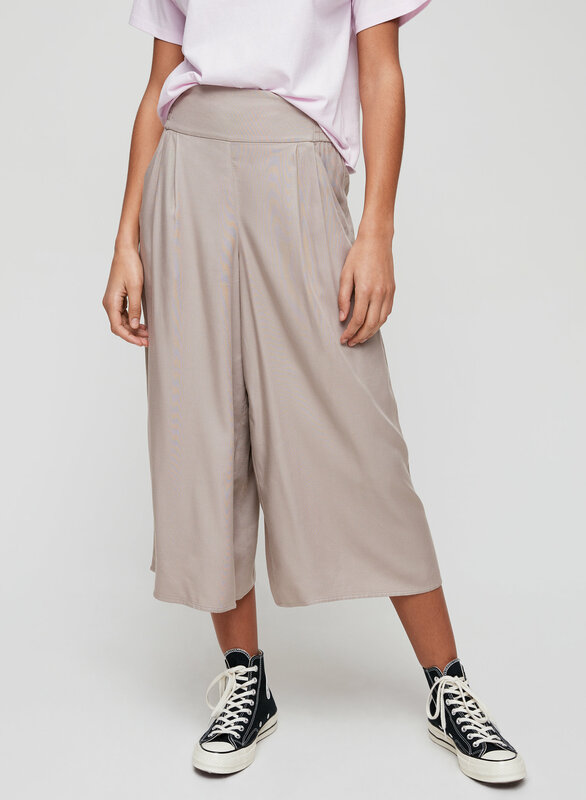 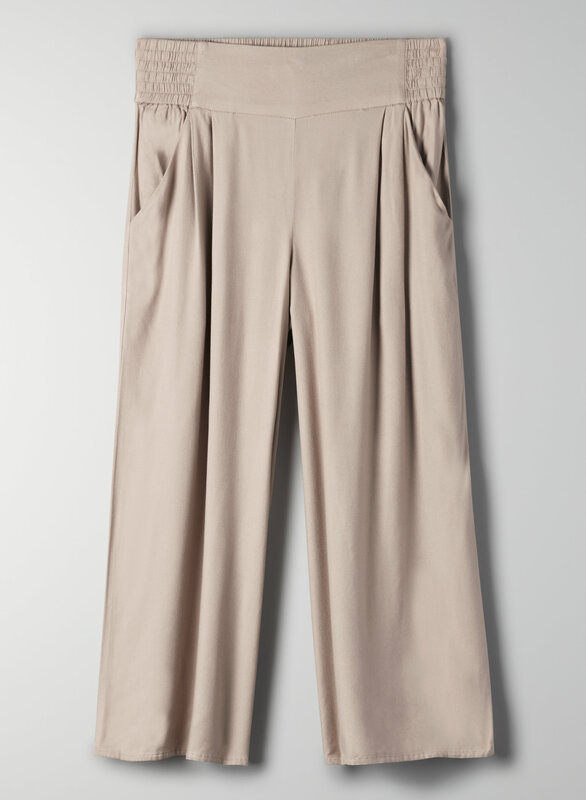 These culottes are made from a soft, drapey twill fabric.